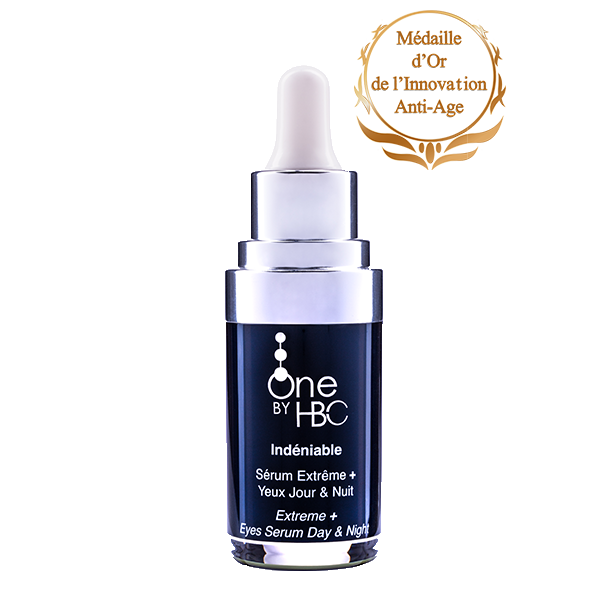 Indéniable, Extreme + Eyes Serum Day & Night, real tissue rejuvenation, is a concentrate of anti-age technologies which includes the most recent innovations of aesthetic science and helps provide density to the skin by restoring the volumes erased by time. 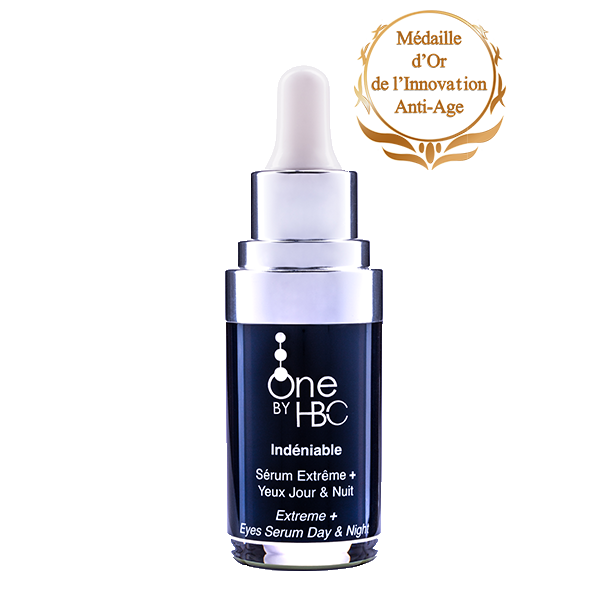 Strong cell rejuvenation booster, this serum specially formulated for the sensitive eye contour zone. In just seven days it completely eliminates any signs of fatigue and the skin’s ageing already present: shadows, bags, swelling, deep wrinkles, crow’s feet and sagging eyelids. A maximum concentration of patented natural ingredients, it acts, from the first application, at the heart of the skin’s ageing mechanism reviving microcirculation and reactivating the production of natural collagen present in your skin. 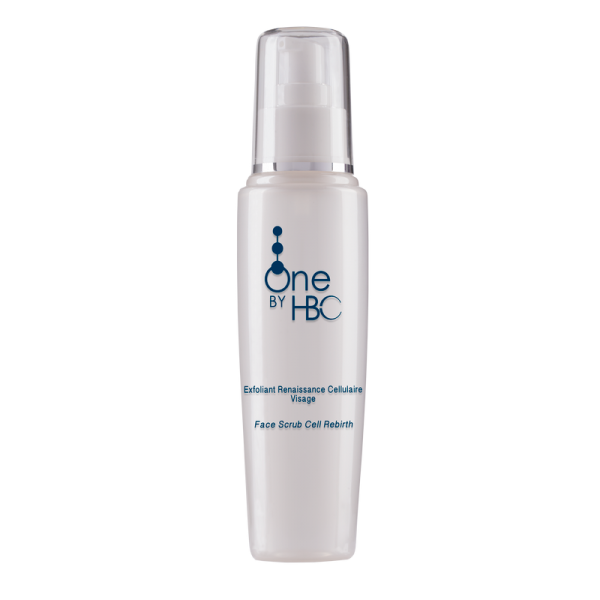 Your eye contour is plumped up, smoothed, reinforced, gets back its radiance and firmness of youth. Apply Indéniable, Extreme + Eyes Serum Day & Night on your perfectly cleansed eye contour after using a toner, morning and/or evening, with light pressure in order to optimise microcirculation. 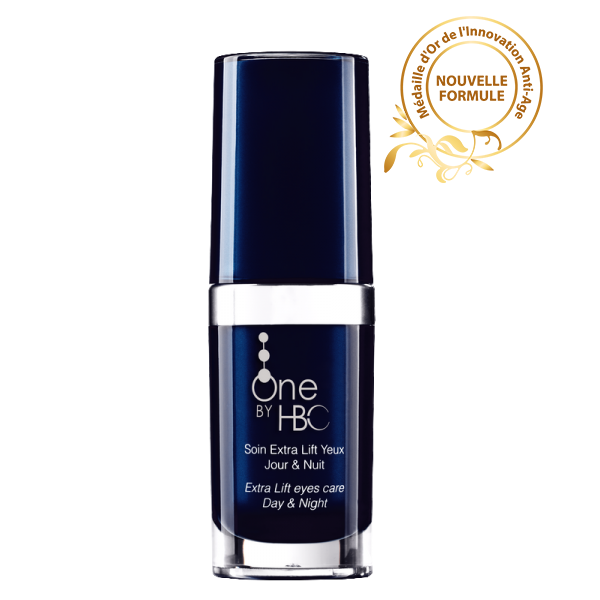 For optimal comfort, Indéniable Extreme + Eye Serum Day & Night can be reinforced with Extra Lift Eye Care Day & Night by One by HBC. 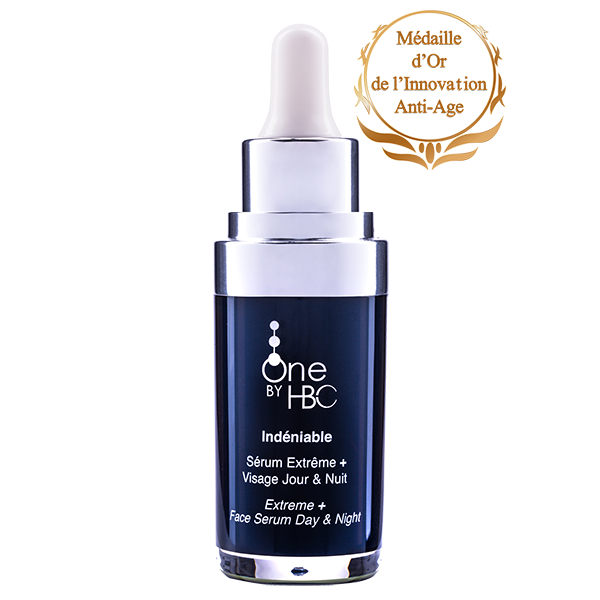 In order to obtain optimal results over entire face, we recommend you also use Indéniable, Extreme + Face Serum Day & Night by One by HBC.